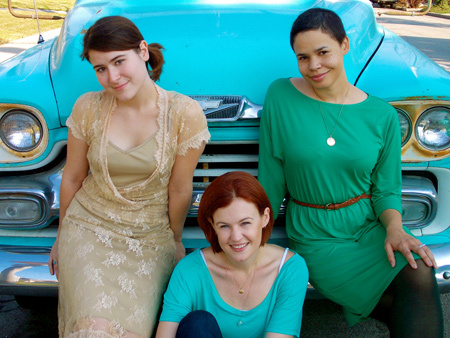 The T Sisters are an authentic family band based out of the San Francisco Bay Area. 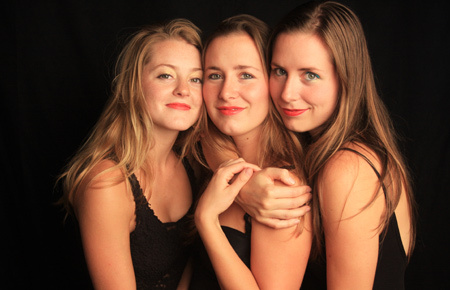 Rachel, Chloe and Erika Tietjen are all songwriters and switch off on lead vocals. 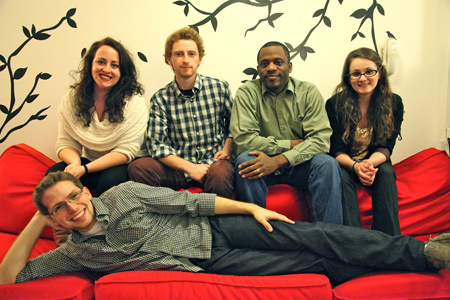 While their voices blend seamlessly, each has a distinct singing and writing style. The combination results in an eclectic repertoire unified by a landscape of close harmonies. The group's subtle throwback aesthetic calls to mind classic trios past, from the Andrews Sisters and 1960s girl-groups to the sirens from the film O Brother, Where Art Thou? 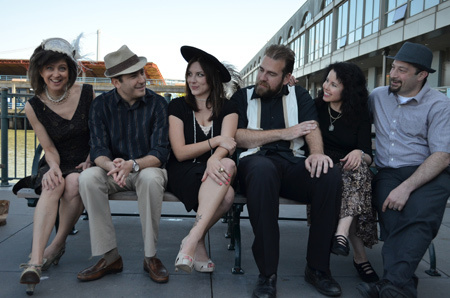 Anchored by influences spanning folk, country, gospel, klezmer and early-90's R&B, each sister brings a unique vocal and lyrical style to a sound that is at once modern and timeless. Though the T Sisters sing and perform often with instruments, they are known to silence a crowd with their soulful and enchanting a cappella numbers. 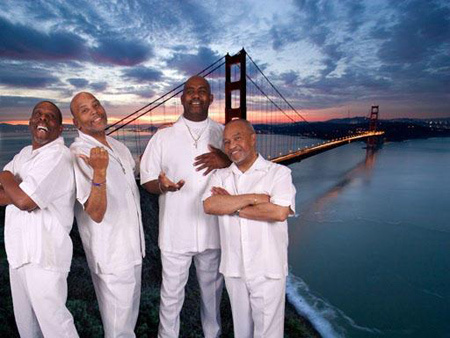 From the San Francisco Bay Area, Gospel Recording Artist Mighty Men of Faith ministers with energized anointing. They encourage an authentic atmosphere of worship on stage and their trademark sound, personal warmth and musical diligence leaves you eager for more. 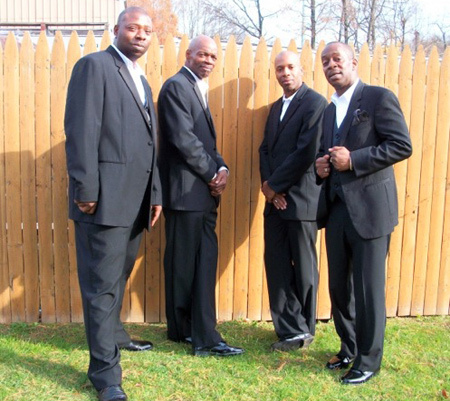 Embodying the love of God, their shows are heartfelt and soul stirring from the first note. 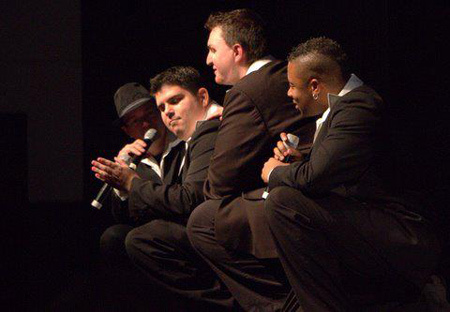 Their debut album "Because He Loves Me" and "Live at the Cubberley Theater" began a standard of encouraging and empowering people through song. Then "Nothing But Grace" and "Believe in His Promises" embarks on a Neo-Gospel sound with the timeless message that not only does Jesus save but that He'll be with you through your life's situations. The Richter Scales are a bevy of gentlemen songsters, all residents of the San Francisco Bay Area. 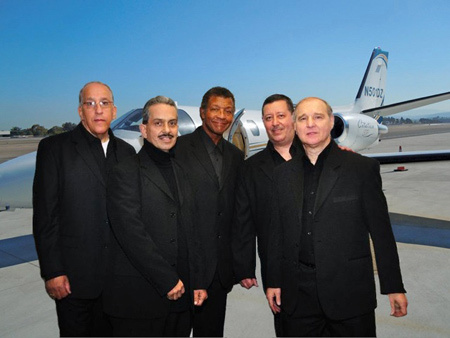 They perform selections from a wide variety of genres, including American standards, Broadway, Motown, and contemporary music.. Formed originally as a band of semi-organized scavengers in the wreckage of the San Francisco Earthquake of 1906, the "Richter Scabs" (as they were then known) didn't actually "sing a cappella" until the Fall of 2000. The intervening period, known as "The Lost Years" by current group members, was filled with raucous enterprises involving menial labor and incarceration. Most of those "tall tales" are, unfortunately, wholly inappropriate for these pages..
Take a left, then turn right, here they are: it's 38th Ave! 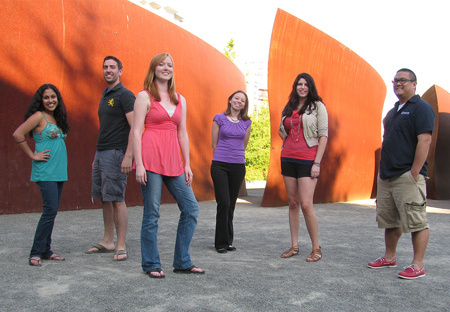 38th Ave is a local a cappella group that started on the beautiful beaches of Santa Cruz. 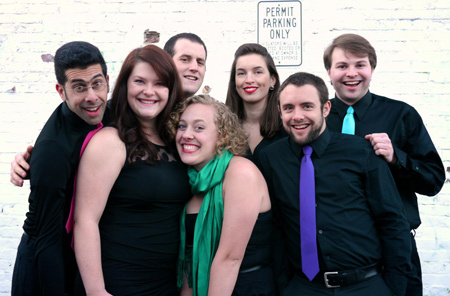 This group of friends, with a love for anything a cappella, sings a wide variety of music from top 40 hits to standard jazz to smooth indie. You might find them in Santa Cruz on the streets downtown, in coffee shops, or even at your local bar. After being together for a year, they are excited and ready to sing! 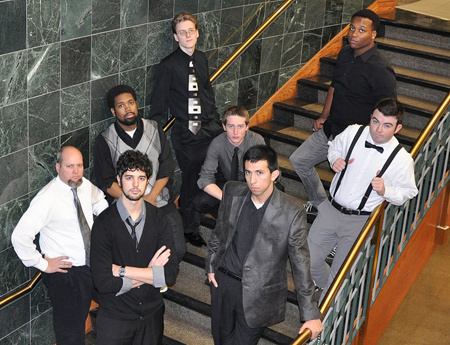 The California Golden Overtones are a completely student-run musical group on campus. 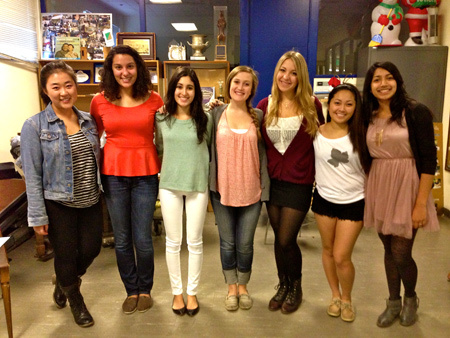 We are a lively group of girls who, with our music, love to spread joy and Cal Spirit. We can be seen performing at Cal football games, at University functions, as well as all over the Bay Area for private events and parties. 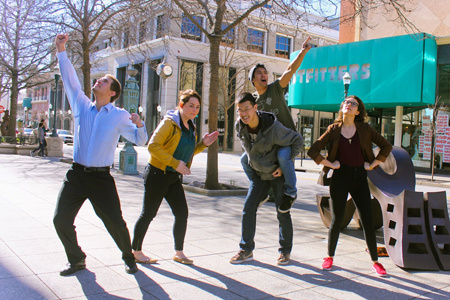 We have been performing for our favorite fans -- Cal students -- every Friday at 1 PM in front of Sather Gate for more than 20 years! 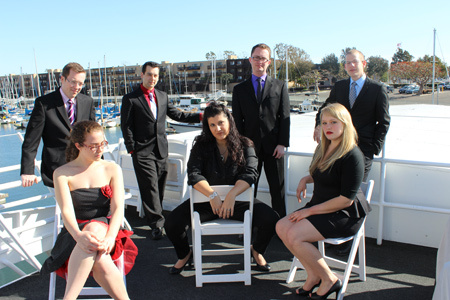 Eli is comprised of choir members from Lafayette-Orinda-Presbyterian Church in Lafayette. 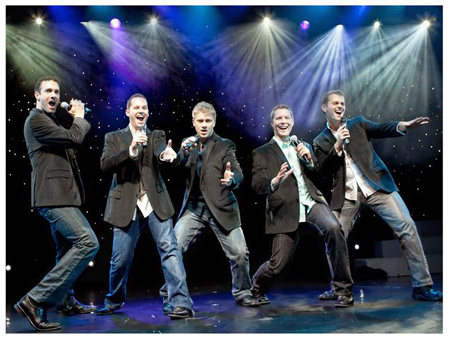 They were formed 4 years ago to sing for Sunday services, concerts and special church events. 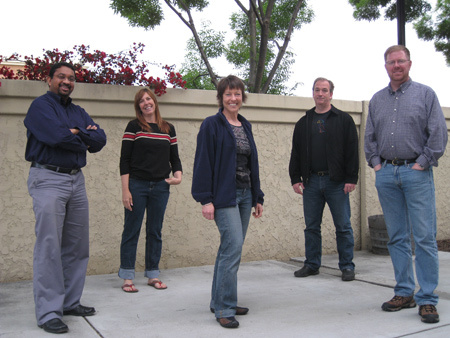 They are comfortable singing a variety of genres including jazz, classical, country, and funk. 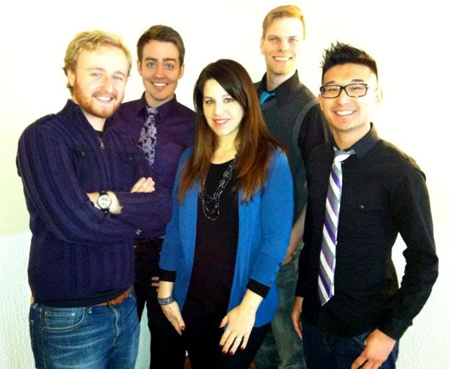 Formed in the fall of 2012, Quintessence is a group of young, passionate singers with a soulful sound and innovative arrangements. Covering every genre from K-Pop to funk, these five performers are struggling to fill out the 50-word requirement of this form. Quoth Wikipedia: "In physics, quintessence is a hypothetical form of dark energy postulated as an explanation of observations of an accelerating universe. It has been proposed by some physicists to be a fifth fundamental force. It is suggested that quintessence can be either attractive or repulsive depending on the ratio of kinetic to potential energy in the universe. Specifically, it is thought that quintessence became repulsive about 10 billion years ago (the universe is approximately 13.7 billion years old). Boston-based Funkin’ A! is seven voices of irreverence offering up an eclectic mix of tunes, including some you’re not sure you’ve ever heard, from six decades of (mostly) popular music. Covering Passion Pit to Michael Jackson to Blossom Dearie, their repertoire is sure to confuse DJs but please everyone else for at least three minutes. 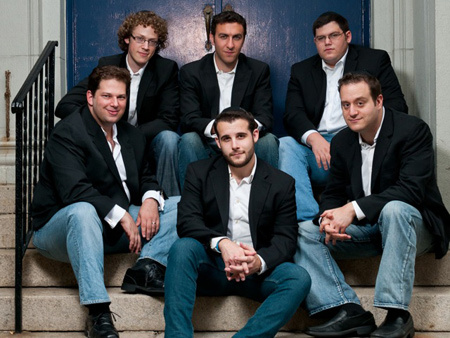 Over the past several years they’ve been proud to perform at Harvard Square’s massive Mayfair and Oktoberfest street festivals, WERS’s All A Cappella Live competition, Ball in the House’s A Cappella Concert Series, Boston’s AIDS walk, and the swank Liberty Hotel. Welcome to the magic shop... That is Grundy's Magic Shop of course! 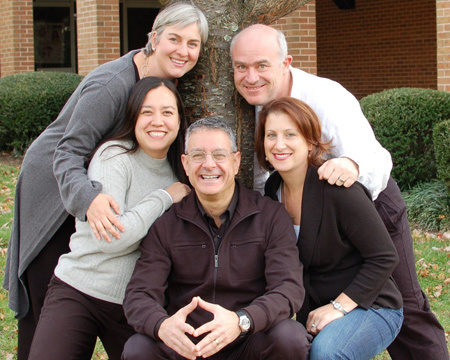 We are an vocal quartet based in the Greater Boston Area bringing more than 25 years of combined experience to audiences of all ages. 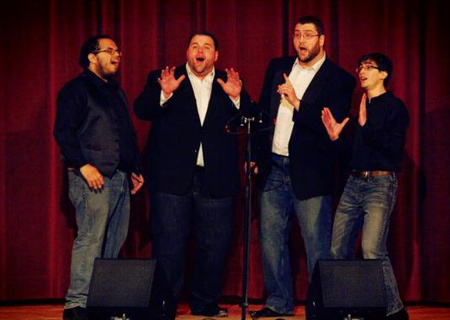 Even though Barbershop is where we all met and started singing together, we each bring our own style and unique vocal qualities to make music ring. 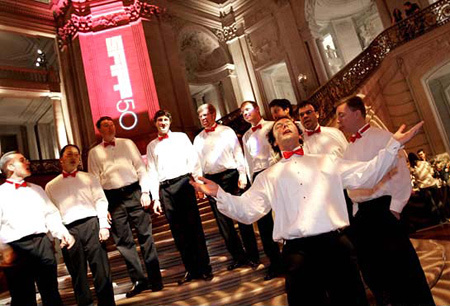 We enjoy singing everything from Jazz and swing to classics and contemporary genres. Taking the Music to the top is our very own Jonathan Hinkle as Tenor, with the Leading role being played by Kadin-Seth Binkley. Laying down the foundation is Steve Moore as Bass and our mysterious guru of musical magic is Ben Brown, who occasionally doubles as a baritone. We look forward to seeing you soon and maybe singing a song with you or for you. Let the Show begin! How fitting the name Showcase is for this foursome! They love to sing, to show their best to audiences, and to present special events (songs) in order to tug on the heart-strings of their listeners! 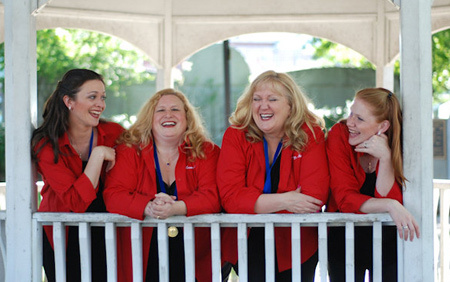 Showcase, an a cappella quartet, started singing together in March 2007 and just two and a half years later became the 2009 International Championship Quartet of Harmony, Inc. All are members of New England Voices in Harmony, an Internationally ranked fourth place women's barbershop chorus from Nashua, New Hampshire. 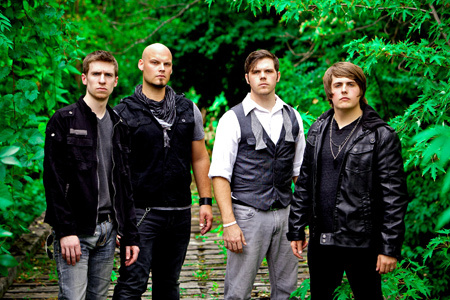 Showcase released their debut cd "Birds Gotta Fly" in November of 2012. 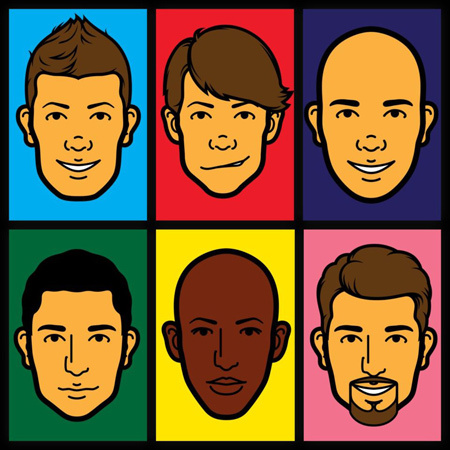 An eclectic mix of jazz, blues, Broadway tunes all done in the barbershop a capella style. 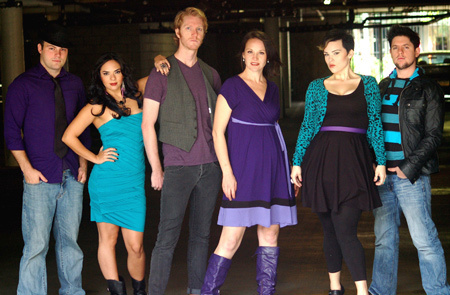 With the threat of the Mayan-predicted end of the world in 2012, these five singers from the Chicago a cappella community prepared to go out singing, in an attempt to change the apocalypse into the acapocalypse, thus saving the world! It looks like they succeeded, and now they're on a mission to fix the economy, end the war in the Middle East, and stop global warming, all with nothing but the power of their voices. 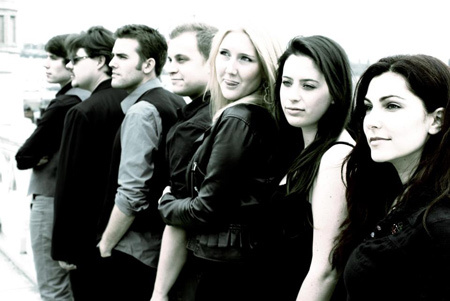 Boomslang is made up of musicians who have been making a cappella music long enough to want to ditch the Lady GaGa medleys and one-hit wonders in favor of making music that moves them - music that speaks to and resonates within the hearts of each member. Their repertoire couples a heavy emphasis on great, thoughtful songwriting with the unrivaled communicative, emotive, and downright "human" qualities of the voice. 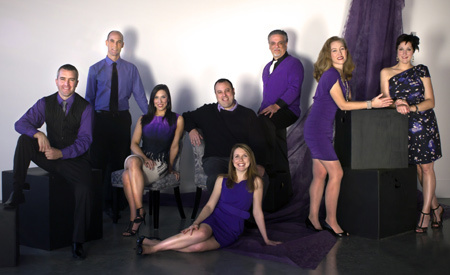 The various members' pedigrees include time with the House Jacks, Ball in the House, Vocal Chaos, the Colorado Buffoons, and the University of Miami vocal jazz program, among others. Boomslang is based in Chicago's North Side. 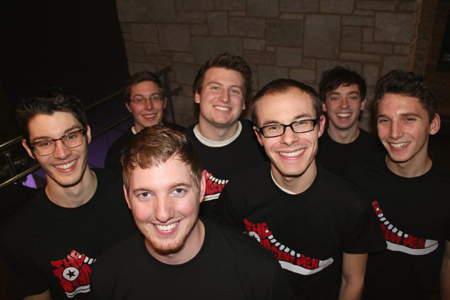 The Innocent Men is a seven member a cappella group comprised of studs from the University of Wisconsin - Eau Claire's all-male choir, the Singing Statesmen. 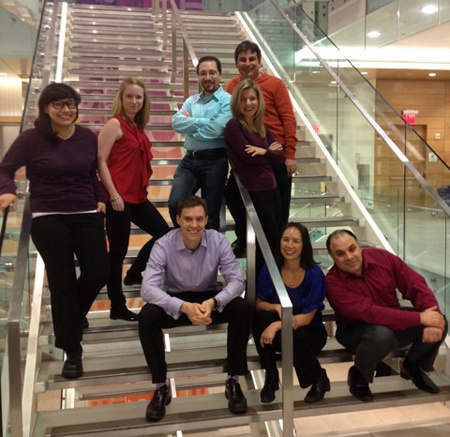 The group was formed way back in 1985 and has been running strong ever since. The Innocent Men have provided top-notch singing and below-average humor as entertainment to literally thousands, although not at the same time. 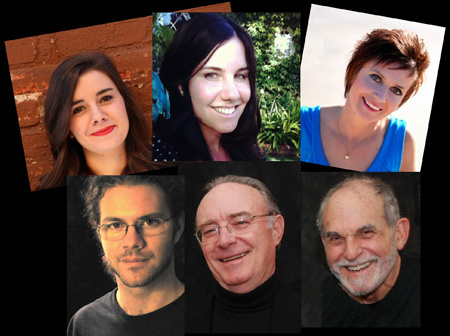 What do you get when you mix a teacher, a software analyst, a tax specialist, a sailing instructor, and a graphics artist? You get The Other Option! 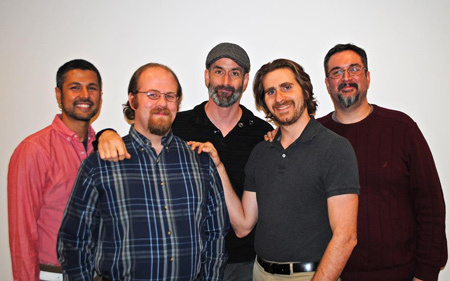 The Other Option brings together the voice talents of Colin Gagnon, Ravi Manghnani, Eric Pantano, Matthew Porcelli , and Barry Rokusek. 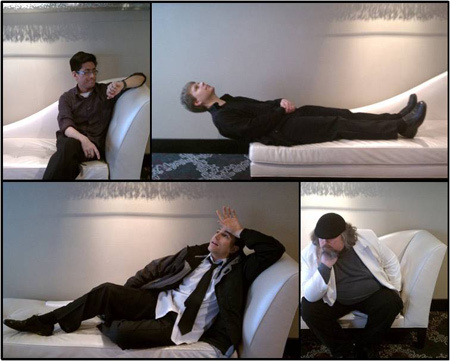 Formed in Madison, Wisconsin in early 2012, the group's eclectic sound mixes contemporary songs from the 70's and 80's, along with a dash of current music. Whether singing at open mics, birthday parties, or just out on the street corner, the group puts its emphasis on fun, harmony, and good music. 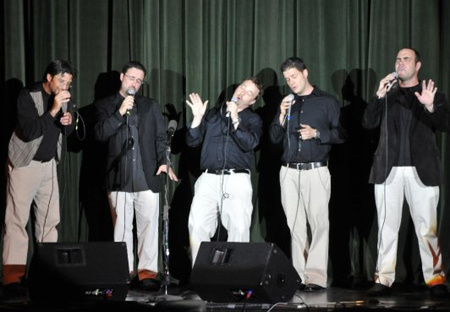 VOCALITY is an a cappella quartet with a wide ranging repertoire from 60's and 70's classic rock tunes to gospel to musical theater to barbershop. They are an animated ensemble who love singing together and entertaining audiences with a passion for igniting the spark of music in young people everywhere. 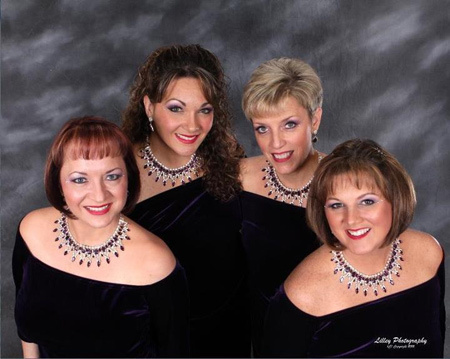 VOCALITY formed in January, 2007 and was immediately recognized as an entertaining quartet with flawless harmonies and exciting delivery. 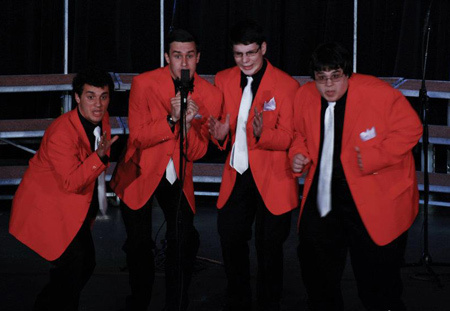 They were crowned District Champions in the Land 'O Lakes district of the Barbershop Harmony Society and quickly rose to the elite ranks of the Top 20 in the International Barbershop Quartet contest. 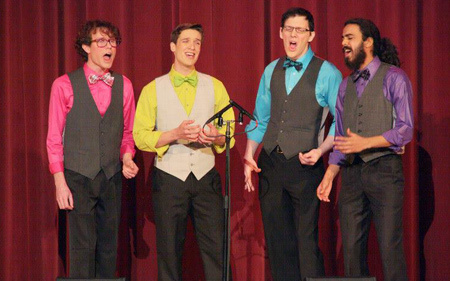 Their debut recording was honored with two Contemporary A Cappella Recording nominations by the Contemporary A Cappella Society: Best Barbershop Album and Best Barbershop Song. 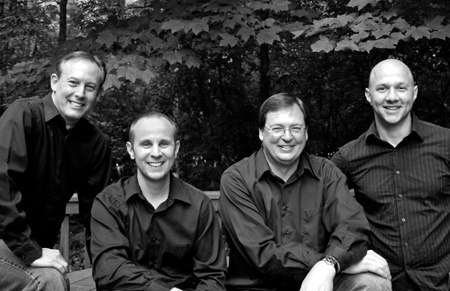 In fall of 2011 VOCALITY released their second recording, Alleluia, which features gospel music. 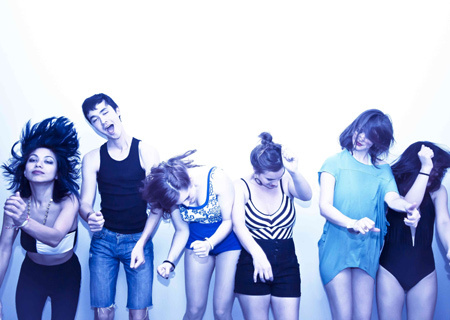 Arf is an independent avant garde pop vocal group based in Los Angeles. They started off in 2013 as a live a cappella re-imagining of Genevieve Artadi's solo music, and have evolved over the past year into a new beast, incorporating originals and arrangements by other Arf members, and adding synthesizers and drums to their live performances. Just like it takes the right combination of notes to make up great music, it takes the right blend of voices to make that music come alive! 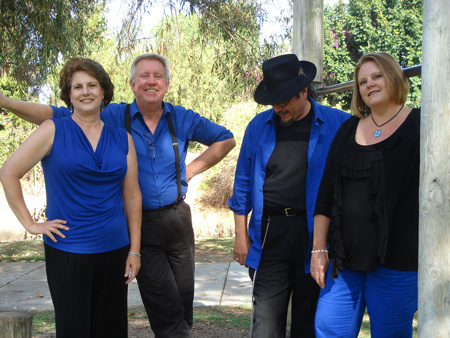 These folks had already been singing all over Southern California for many years when they decided to get together and pool their talents into one great sound. 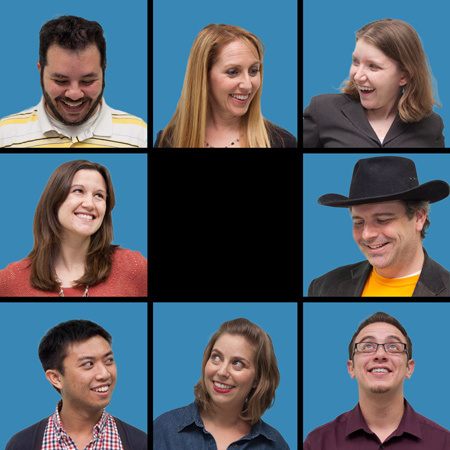 With a wide range of musical styles and a passion for those tight vocal harmonies, this group makes for a diverse, exciting, and extremely enjoyable a cappella experience. 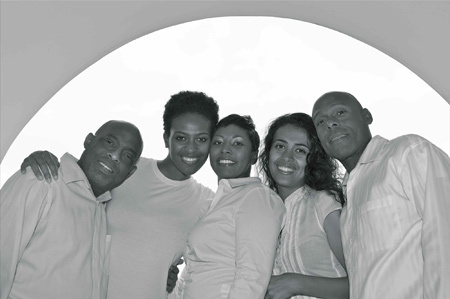 Members: Reggie Paschal, Melanie Richardson, Kandace Fields, Hyomara Homs, Anthony Paschal,Sr. 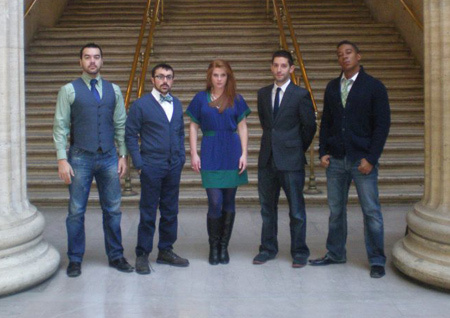 Vocal Heights is an eight member, co-ed, New York a cappella group with an eclectic style, performing a wide range of music from the 60's, all the way to the 2000's. With a repertoire that is predominantly rock and pop, We also like to mix it up with some doo-wop, jazzy standards, blue grass, non-secular selections, and even the occasional madrigal thrown in for good measure! While predominantly using original arrangements of covers we are psyched to now have several original songs in our repertoire as well. Our mission is simple: to put on a great show with great music! 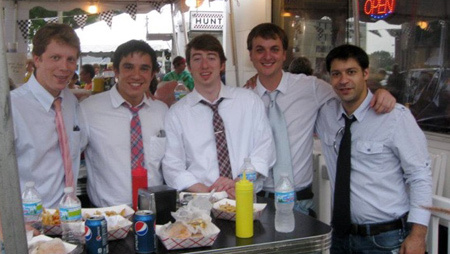 The Bowties have been performing in the Rochester, NY area since 1997. The group sings a wide variety of music from jazz to doo-wop to rock and pop classics, and performances are laced with humor and fun. In 2006 they released their first CD "Untied". 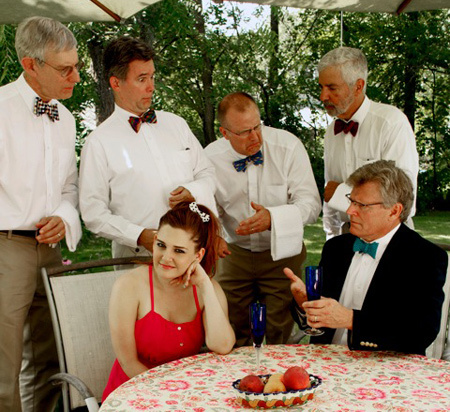 This was followed by their late 2012 release "Black Tie Optional" featuring jazz vocalist Madeline Forster, their first female member. 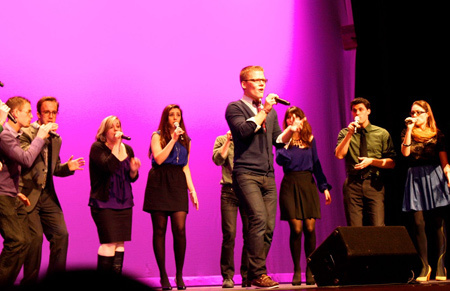 A majority of The Bowtie's songs are arranged by group members. Unique. Inviting. Joyful. Surprising. Fun. Simple, yet Complex. 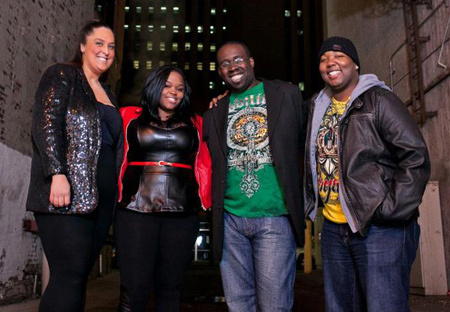 The Dolls are a fresh a cappella group making waves over the internet and across the world. 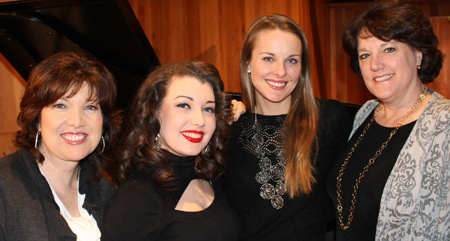 The Dolls formed in 2008 at The University of the Arts in Philadelphia with members Mary Anne Cleary, AJ Luca, Ariel Kerber, and Megan Wellman. 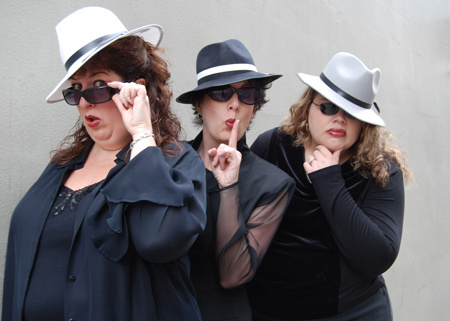 With backrounds in Jazz, Doo Wop, Musical Theatre, and even Opera, The Dolls began arranging tunes of all genres. Today, The Dolls do all types of music, inlcuding Pop, Spiritual, Folk, and Indie. You name it, The Dolls can sing it--with style! Their unique musical backrounds help create dynamic sounds that are always surprising. Arranging their music organically, and always as a team, the girls find their best work comes from spontaneous, adventurous musical moments. They work together in harmony so well, it's hard to believe there are only 4 voices creating their rich sound. The Dolls draw creativity from percussion in new and unique ways, and they are known to use "unusual objects" to create dynamic sounds (i.e. utensils, plastic drawers, even a cheese grater!) 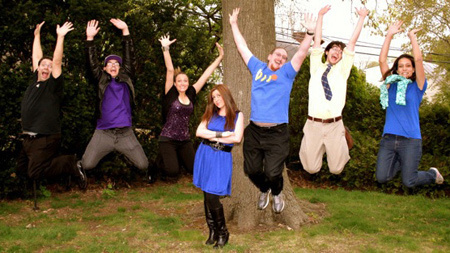 In February and March of 2012, The Dolls became overnight YouTube sensations with their cover of Adele's "Rumour Has It." The video was featured on The Huffington Post, RyanSeacrest.com, Philly.com, AOL.com, and trending topics all over Twitter and blogs! Enjoying their present experiences and looking forward to those in the future, The Dolls relish every opportunity to make music together--and they do it with an invigorating flair that is all their own! 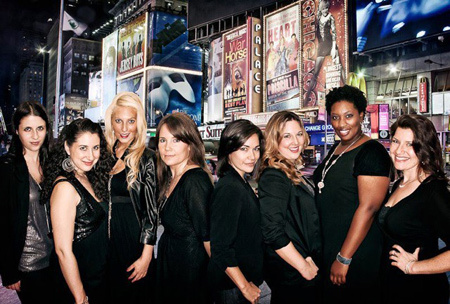 Loose Interpretations is an all female a cappella group hailing from New York City. 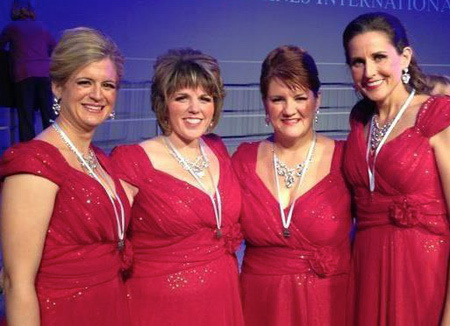 We are made up of women from all types of professional and performing backgrounds with a common love for a cappella music, and have been making music together for 8 years. We perform throughout New York City, everywhere from public parks, to famous rock clubs like Cafe Wha? and Arlene's Grocery, to the Metropolitan Opera House. We arrange 95% of the music we perform and love looking for new and interesting ways to interpret contemporary music.